I based this painting on a photo I took on a recent visit to the Houston Zoo. 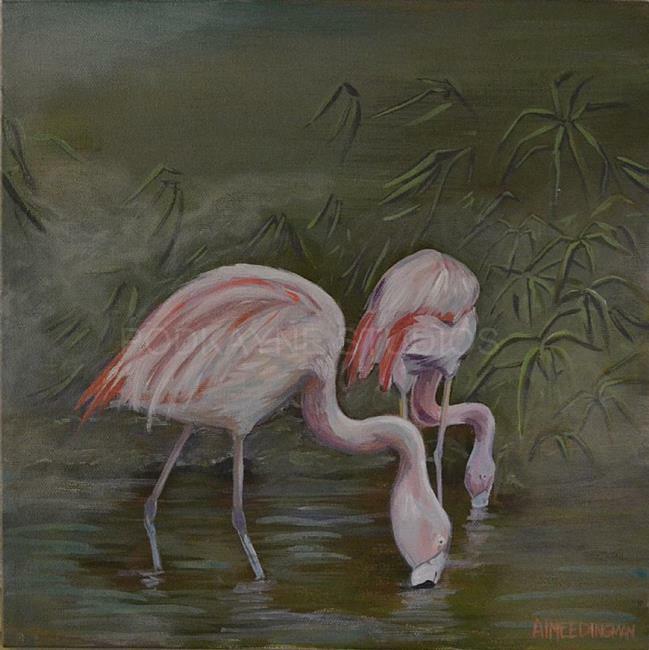 I have always loved flamingos. I'd say they're probably in my top 3 of favorite birds. Although this is not usually the type of subject I paint, I couldn't resist giving it a try. I look forward to revisiting this type of painting in the future!